He was a premature baby when his mother was in the seventh month of pregnancy. When he was finally released from the hospital he still suffered from jaundice. In second grade, a passing car hit him after he played at the neighbors’ house. He was thrown in the air by the force of the blow from the car, and after two days in the hospital he was released. He loved to play on his Playstation and learned how to type quickly, and sometimes even typed in the dark. At 16 he began to feel grown up and rebel against his mother’s wishes. He loved her very much. I have hope that these days, when so many people’s hearts are filled with worry, love and identification with the fate of the three youths they never knew, in these days when our hearts go out to the suffering families, that these days will be a time of aspiration and not of hatred. A time of hope for the fate of the families and the young men we never knew; for families, some of whose loved ones no longer even have a tiny bit of hope. The premature baby who was born to a Palestinian family in Ramallah, who knew how to type in the dark, who was shy and innocent, who would kiss his parents every time he returned home, who God did not have mercy on his parents, was Nadim Nuwara of blessed memory. He was 17 years old when a member of the Israeli security forces shot him at the Nakba Day demonstration in Beitunia. An hour later another youth was shot, Mohammad Salameh, at the very same place. No Facebook campaign will return the youths Nadim and Mohammad to their parents, the Palestinians do not have an army to conduct house to house searches, and according to the Oslo Accords they don’t even have investigative authority. These days Jews in Israel and in the territories are very attentive, in the great spirit of mutual responsibility, to the horrible suffering of three families hanging between despair and hope, and if only that hope could win. But what responsibility is this, what hope is this, and what humanity is this if it is so completely blind to the Palestinian suffering? What happened before is that Nadim Nawara was born a premature baby, and survived a premature birth and an automobile accident, but did not survive the occupation. What happened before is tens, hundreds and thousands of Palestinians that Israel has killed. It is the theft of property and the stealing of land. It is roadblocks and control and permits and searches and orders, and an entire mechanism that under the cover of the big lie of temporariness built an entire system in which the members of one people have determined for almost 50 years the fate of another people: They arrest them, steal from them, question them, judge them and sometimes kill them. His name was Nadim Nawara and he grew up and had his own political opinion and went out to demonstrate and died in Beitunia in the Nakba Day protest on May 15, 2014. He survived a premature birth and a car accident, but did not survive the occupation. Hagai El-Ad is the executive director of B’Tselem: The Israeli Information Center for Human Rights in the Occupied Territories. 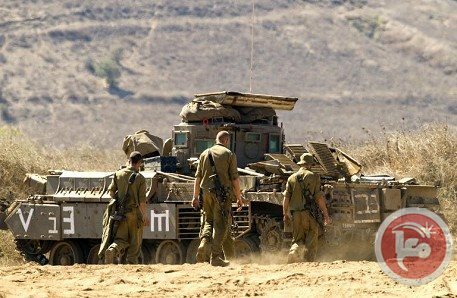 The teenage son of a defense ministry contractor was killed on the Golan on Sunday when a blast hit the car he was traveling in with his father. The victim was named as Mohammed Qaraqra, a Palestinian citizen of Israel from the northern village of Arabeh in the Galilee region, military radio said. The Palestinian Center for Human Rights on Sunday condemned the Israeli army's killing of a Palestinian man with a mental disability during a raid on al-Ain refugee camp the same day. Israeli troops early Sunday raided the camp and killed Ahmad Said Suod Khalid, 27, as he was walking to a mosque for dawn prayers and refused orders to return to his home. "The family of the victim said to a PCHR fieldworker that their son suffered mental problems and epilepsy," the rights group said in a statement. "Around ten meters away from his house, a group of Israeli soldiers were raiding and searching houses when an Israeli soldier shouted at Ahmed to stop. 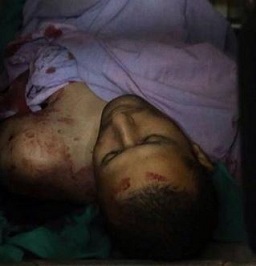 However, he did not obey the orders, so the Israeli soldiers opened fire at him from a distance of around 30 meters. As a result, he was killed by 4 bullets to the abdomen, back, right thigh, and tight shoulder." "PCHR strongly condemns this crime, which further proves the use of excessive force by Israeli forces against the Palestinian civilians in disregard for the civilians' lives," the statement said. The report further stated that the ongoing Israeli military campaign in the West Bank was "collective punishment," constituting a war crime under international law. Israeli forces have conducted nightly arrest and search raids throughout the West Bank following the disappearance of three teenagers from an area near the illegal settlement of Gush Etzion on June 12. Six Palestinians have died, dozens have been injured, and over 400 have been arrested as a result of Israel's military campaign to find the youths. Israeli settlers on Sunday opened fire at Palestinians in al-Bireh near Ramallah as they gathered for the funeral of a man killed by Israeli forces earlier that day, a Ma'an reporter said. After the funeral procession of Muhammad Tarifi in the Jabal al-Tawil neighborhood, settlers from the Psagot settlement opened fire at mourners, injuring one of them. When Israeli forces arrived at the scene, clashes broke out as Palestinians hurled rocks at settlers and soldiers. Soldiers fired stun grenades, tear gas, rubber-coated bullets, and live fire at Palestinians. The Palestinians then retreated into al-Bireh's Jabal al-Tawil and al-Jinan neighborhoods. Tarif was found dead on the roof of a commercial building in Ramallah early Sunday and an autopsy showed that the victim died of a bullet fired from an M16 assault rifle, used by Israeli forces. Israeli soldiers were in the area at the time and clashed with Palestinians amid a number of home raids and detentions. Tarif was the fifth Palestinian shot dead by Israeli forces in the last week, as they continue a massive military campaign in the West Bank in search of three missing Israeli teenagers. Although Israeli authorities have claimed the youths were kidnapped by Hamas from the Jewish-only settlement of Gush Etzion near Bethlehem, Hamas has denied the charges. In the 10 days since, Israeli forces have arrested over 400 Palestinians, the majority associated with Hamas, and raided more than 1,000 locations across the West Bank, vowing to "crush" Hamas. An autopsy conducted on Sunday morning has shown that 30-year-old Muhammad Ismail Atallah Tarifi, who was found dead on the roof of a commercial building in Ramallah earlier in the morning, was shot dead by Israeli troops. 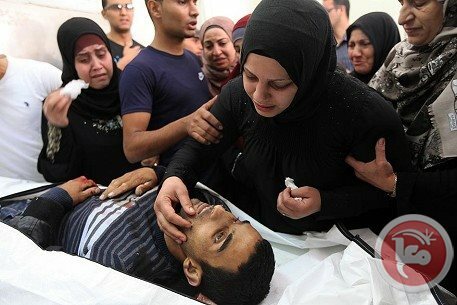 According to the autopsy, the victim died of a bullet fired from an M16 assault rifle, which is used by Israeli forces. which occurred amid an Israeli army raid in the heart of the central West Bank city of Ramallah. 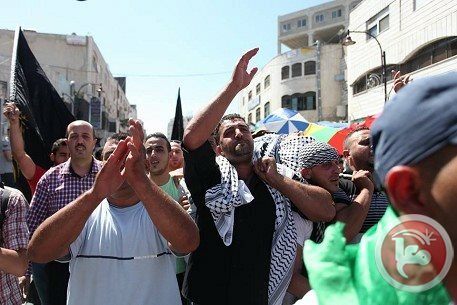 Immediately after the withdrawal of Israeli forces from the area following a number of home raids and detentions, locals began throwing stones at the Palestinian police headquarters in anger for the police's withdrawal from the streets in order to allow Israeli forces to raid at will. A Ma'an reporter on the scene in Ramallah found seven empty casings of M16 bullets on the roof of a building 40-50 meters away from the roof where Tarifi was found. Furthermore, Muna al-Dalou, a woman who lives in an apartment in the building, told Ma'an that about 20 Israeli soldiers had stormed the building and fired gunshots from the roof at Palestinian protestors during the raid. Abu Ein added that Tarif's body would be delivered to his family at the Ramallah Medical Complex. 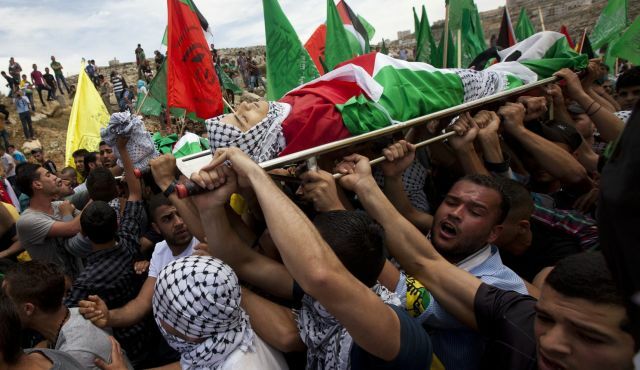 The body will be taken to Jamal Abdul-Nasser mosque in Ramallah for a funeral prayer in the afternoon, and then a funeral procession will march to a cemetery in neighboring al-Bireh. Tarif is the fifth Palestinian shot dead by Israeli forces in the last week, as they mount the largest military deployment in the West Bank since the end of the Second Intifada in search of three missing Israeli teenagers. Although Israeli authorities have claimed the group were kidnapped by Hamas from the Jewish-only settlement of Gush Etzion near Bethlehem, Hamas has denied the charges. In the 10 days since, Israeli forces have arrested nearly 400 Palestinians, the majority associated with Hamas, and raided more than 1,000 locations across the West Bank, vowing to "crush" Hamas. Three Palestinian young men were shot dead yesterday evening and at dawn Sunday by Israeli soldiers in the Jordan Valley, Nablus and Ramallah. 19-year-old Saker Burhan was killed immediately after an Israeli soldier shot him in his chest, according to eyewitnesses. Burhan was herding sheep in Al-Maleh area of the Jordan Valley when Israeli soldiers opened fire at him. Medical sources said that the Israeli occupation forces (IOF) refused to hand over the body of the boy to Red Crescent paramedics. In Nablus city, the IOF killed a young man during a campaign in Al-Ein refugee camp. Local sources in Nablus reported that 36-year-old Ahmed Fahmawi was showered with bullets by Israeli soldiers as he was walking to a mosque in the camp to perform dawn prayers. They added that the invading troops barred Palestinian paramedics from reaching the young man to help him and left him on the ground bleeding to death. The Israeli occupation army justified the killing of the young man by saying that he neared its soldiers in a threatening way and did not hear them shout at him to stop. In central Ramallah, another 30-year-old young man identified as Mahmoud Atallah was found killed at dawn today by Israeli bullets on the rooftop of a commercial building near another building topped by Israeli snipers. Palestinian medical sources have reported that a young Palestinian man was shot, and killed, by Israeli military fire, in the central West Bank city of Ramallah. The sources said that Mahmoud Ismael Atallah, 31, was seriously injured after being shot, on Sunday at dawn, by a soldier who, along with several soldiers, invaded a Palestinian building, and used it rooftop as a military tower. managed to reach him, especially as the soldiers surrounded the area, and declared it a closed military zone. His body was first located on top of a commercial building, in the Al-Manara Junction in the center of Ramallah, in the opposite direction of the building that was occupied by the soldiers. Medical sources said at least eleven Palestinians were shot and wounded during ensuing clashes with the soldiers, who invaded, ransacked and searched Palestinian homes and property, in different neighborhoods in Ramallah. The clashes started after dozens of Israeli military vehicles invaded the city, along with many nearby Palestinian communities, and broke into several shops, stores and commercial buildings. Local youths threw stones at the soldiers, and the army fired dozens of rounds of live ammunition, and rubber-coated metal bullets, leading to eleven injuries. Eyewitnesses said clashes also took place inn many nearby communities, as the army pushed more soldiers into the area, and kidnapped several Palestinians. Israeli forces shot and killed two Palestinians during clashes in Ramallah and Nablus overnight Sunday, as Israeli forces continued a massive search operation across the West Bank for three missing Israeli teenagers. The killings mark a major upsurge in Israeli violence amid one of the largest deployments since the Second Intifada, with at least five Palestinians killed in the last week and more than 370 arrested. Israeli soldiers killed Ahmad Said Suod Khalid, 36, in Al-Ein refugee camp in Nablus and Mahmoud Ismail Atallah in Ramallah as locals protested raids in those areas early Sunday morning. In al-Ein refugee camp, Israeli soldiers fired four gunshots at 36-year-old Ahmad Said Suod Khalid while he was headed to a mosque for dawn prayer. According to eyewitnesses, the soldiers asked Khalid to go back home, but he refused and insisted on walking to the mosque. At this point, a soldier pointed his rifle at him and shot him several times from point-blank range. 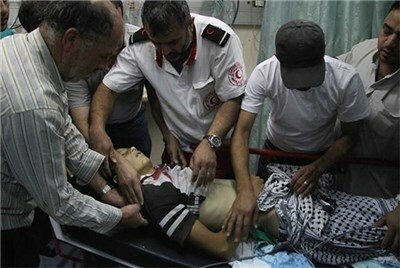 The victim's body was evacuated to Rafidia Hospital in Nablus. The Israeli military said in a statement that the victim "was approaching them in a threatening manner" at the time he was shot, and that they "called on the suspect to stop and after he failed to comply they fired warning shots in the air." Israeli soldiers than "fired towards the suspect." "Initial inquiry suggests that the suspect was mentally unstable," the statement said, adding that "the incident is currently being investigated." In Ramallah, a young Palestinian man Mahmoud Ismail Atallah was found dead on the roof of a commercial building opposite to another building where Israeli snipers were stationed. It is believed that a sniper shot Atallah, and he bled for hours before his body was found. Earlier, Israeli troops invaded several neighborhoods in Ramallah before dawn and broke into several houses and stores. Young Palestinian men clashed with the soldiers, who fired live ammunition and rubber-coated steel bullets at the demonstrators, injuring more than 10. An Israeli military spokeswoman said that the military was still "reviewing" the incident. Detentions have been reported overnight but numbers and identities of the detainees are yet to be revealed. The killings come as a massive Israeli arrest operation across the West Bank enters its 10th day. Israel accuses Hamas of having kidnapped three Israeli teenagers from Gush Etzion settlement near Bethlehem of having "kidnapped" the the group, who were hitch hiking at the time. Hamas, however, has denied the accusations, and Israel has failed to provide any public proof to them. Palestinian medical sources have reported that a young Palestinian was shot and killed by Israeli army fire in the al-Ein refugee camp, in the northern West Bank city of Nablus. 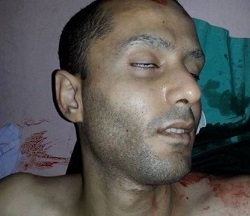 The sources said that Ahmad Sa’id Fahmawi (Abu Shanno), 35, was shot by four rounds of live ammunition, and was moved to Rafidia Hospital, where he died of his serious injuries, the al-Watan News has reported. Clashes have been reported between the invading soldiers and dozens of local youths who hurled stones and empty bottles at them during the invasion. The soldiers also invaded and searched dozens of homes, and interrogated the families. In addition, soldiers invaded the Qabatia town, near the northern West Bank city of Jenin, and clashed with dozens of local youths. Soldiers also invaded the center of Ramallah City causing clashes with local youths, especially in the Al-Manara Square, and Rokeb Street. Also on Saturday, a 17-year old teen was killed after stepping on an Israeli landmine in the northern Jordan Valley. Medical sources said Sakher Dorgham Abu al-Hasan, was tending sheep in al-Maleh area.